Life of the Right Reverend William Pinkney, D.D., LL.D., Fifth Bishop of Maryland. The Nation's Truest Shield: A Sermon Preached at Bladensburg, Maryland, on Thanksgiving-day, Thursday, 28 Nov., 1850. The Life of William Pinkney, by His Nephew. Our Country: A Sermon Preached at Bladensburg, Maryland, on Thanksgiving Day, Thursday, 23 November, 1854. A Discourse Delivered on the National Fast Day, January 4, 1861 in the Church of the Ascension, D.C.
Washington, D.C.: Printed by L. Towers, 1861. The Road to Rome: A Letter Addressed to the Rev. Clement M. Butler, D.D..
Washington, D.C.: Lemuel Towers, 1861. A Discourse Commemorative of the Rev. William Christian, Delivered in the Church of the Ascension, Washington, D.C., on the Twelfth of February, 1865. Washington, D.C: McGill and Witherow, 1865. Songs for the Seasons, from Advent to Trinity. New York: Printed by C.A. Alvord, 1865. Memoir of John H. Alexander, LL. D.
Ernest Murray, or, A Dream of Life with Sonnets. New York: R. Rutter, 1869. A Sermon Delivered at the Institution of the Rev. 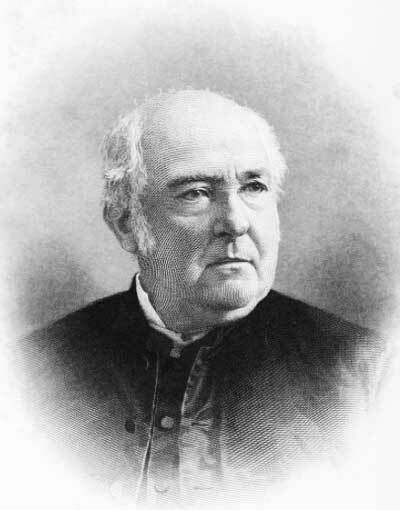 J. Sebastian B. Hodges, S.T.D. as Rector of St. Paul's Parish, Baltimore, on the 15th of December, 1870. Baltimore: John Murphy & Co., 1871. The Childhood of the Church: A Charge Delivered to the Convocation of Washington. Washington, D.C.: Gibson Brothers, 1874. A Charge Delivered to the Clergy of the Diocese of Maryland.